to celebrate this season in a giving way. and making us feel like a million bucks! We have not one, not two, but THREE PRIZES!! to choose the CAS-ual Fridays Stamps or Fri-Dies of their choice! You have until 11:59pm eastern on January 5th, prizes will be announced on Jan 6th. This sale applies to all in stock stamps and dies while supplies last. then off you go to the next stop on this fabulous hop!! If you missed the first couple of stops, no worries! I have the complete list of blogs for you. Join in where you need to and Enjoy!!! So awesome!! Happy New Years! I follow the CAS-ual Fridays Pinterest Boards. I followed all your Pinterest boards. (Can't believe I hadn't done that yet either, lol. Yaahh! Thanks for the chance to win. I'm a follower on the blog, Facebook and on Pinterest! Thanks so much for all of your inspiration...I can't wait to see the new release! I liked the CAS-ual FB page! Just found the Pinterest and started following! This is just the way to start a new year: coffee and a bloghop! Thank you, CAS-ual Friday and Happy New year to all of you! Wow, this is HUGE!!! Awesome hop. Thanks for the chance to win your generous prizes!! I am a brand-new follower of your boards on Pinterest: Janis. Yippee!!! What a wonderful hop! I'm in on all three and keeping fingers crossed. But whatever - I'm looking forward to seeing the sneak peeks! Thanks for the chance to win! I'm a fan on FB page for a long time and I'm a new follower on your blog and on Pinterest. Happy New Year!!! Best wishes in 2014! I already like you on Facebook - thank you for your generosity! This is the best way to start the New Year! What a great hop! Thanks for the chance to win! I am your newest follower on Pinterest and facebook. What a great waymtomstart the new year! Great hop - looking forward to the sneak peeks of new products! Happy new year! Can't wait to see this years stamps! Fun fun fun ... what a great way to start the new year. Happy New Year! Cannot wait to see what you have in store for 2014! Happy New Year and such a great giveaway! Happy New Year to you, Michelle!!! Thank you for the great giveaway! 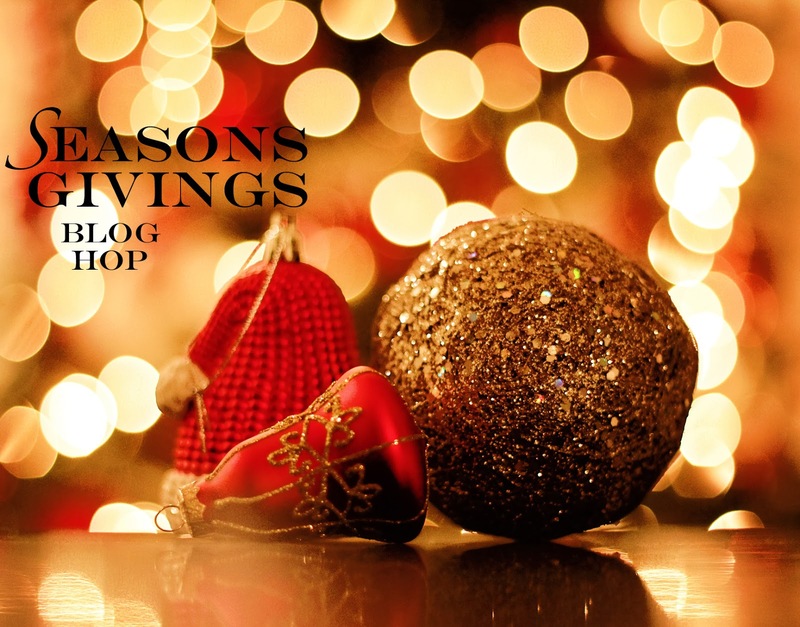 Thank you for participating in this great blog hop. I can't wait to see the new valentine release. Happy New Year! A sale is a great way to start! Thanks for the chance to win, Michele! I think I need to give your stamps a try! I have been a long time "liker" of your Facebook page. I am now following all of your Pinterest boards. Wow! There is a lot of inspiration there. Thanks for the chance to win....I would love some of your dies! Happy New Year! I 'like' your facebook page! And I am now following your Pinterest boards! Thanks for the generous prizes you are offering, what a way to start the new year! Fantastic hop..thanks for a chance at such great prizes!! What a great giveaway! Happy 2014! I am now following you on Pinterest (I can't believe I wasn't before - ack!)!! Thanks for the generous give-away! I follow you via Feedly and on FB! Happy New Year! I'm a newbie to CAS-ual Fridays following both by email and Google. Thanks for the wonderful sale. I'll be back after the hop to take a better look around. So excited to see new products! YAY for the hop and fabulous prizes! Happy New Year!!! Great hop and thanks for the chance to win prizes! Thank you fro a chance to win. Love your blog. My middle name is Michele with 1 l :) Thanks for the chance to win! Thanks for the chance to win! Happy 2014! Happy 2014! I'm following on Pinterest as PatriciaB63, I'm following on fb as Mandy Moneybaggs. Thanks for a chance to win! Thank you so much for the chance to win! I am now following on FB but I don't do pinterest yet. :) Happy New Year. I'm very excited for the Valentine's Day release! And since we are past Christmas and there are so many sales...I am going to do some crafty shopping! I already "like" CAS-ual Friday Stamps on FB as Toni Noggle Storie. And now I am following your Pinterest boards, as Toni Storie. Three wonderful prizes! So generous to have 3 winners. I've not been to your site before so I am enjoying the eye candy. Happy New Year! I became a follower on Pinterest. Awesome fun inspiration! I also liked you on Facebook. Thanks for the chance to win! So I was shocked to discover I was not following you on Pinterest. But I fixed that problem and now am a follower. Said it before, and I'll say it again...you & the other participants in this hop inspire us constantly with your products and your DT's efforts...so THANK YOU! I've liked your FB page also. Awesome blog hop. Thanks for the discount and the chance to win. Well not on facebook or pinterest so one chance for me but one is better than none. Thank you. COOL! Totally new here.....liked your FB page and commented there, and am now following all of your boards on Pinterest! Thanks so much and a Happy New Year to you all! Happy new year to you too:). Will like you on FB! This is such a fun give away. I am new to thus cite but put you on my bookmark page so I can visit often. Love it!!! I did all 3 but I'm not sure if I need to comment 3 different times or if one comment is good for 3 entries. First time I've seen this event--so neat to have CASual Fridays included--would love some more of your products! Awesome stuff at CASual Fridays!!! Thanks for the fun give away!!!! I am following you on PINTEREST now!!!! Thanks for sharing the link! This is such a fun blog hop. Thanks for the opportunity. I will be on the look out for your new sets. how generous.. I only have one of your stamp sets and would love to get more. #2. Already am a FB follower. Wij wensen jullie een heel gezond liefdevol en bovenal creatief 2014 toe! Bedankt voor deze geweldige kans om te mogen winnen! Wij volgen jullie blog en pinterest. Happy New Year. Am a regular follower. Love your products. Thanks for the chance to win. happy 2014. thanks for sponsoring the hop. thanks for the discount too. thank you for new ideas -- I am so happy to have stumbled upon this great blog! Happy New Year! Happy New year!! Thanks for a chance to win!!! That's a fantastic opportunity to win your amazing products, thanks!. Thanks for the opportunity! I've followed you on FB since inception and just started following your Pinterest boards! What a great way to start the New Year....the chance to win and a sale! :) Thank you! Thank you for a chance to win a great prize. I am new to your blog, glad I found you. Happy New Year!! Thanks so much for the chance to win an awesome giveaway!! I follow you on Pinterest!! Thanks for another chance!! Thanks for the chance to win! Following you now on Feedly too! Thanks for the sale - always love saving money, and spending it too!! Thanks for the chance to win. New to casual Friday looking forward to seeing more. This is fabulous!Love your stamps. Thanks! Thank you for offering this giveaway! I love the hop! Following on Pinterest. Thanks again for the chance to win. Following on facebook. Thanks for yet another chance to win. Now following you with email. What a great blog hop - thanks for being a sponsor. Thanks so much for a chance to win and your nice offer of a 15% discount to everyone! That is really nice. Great company and I like your stamps. What a great giveaway! Thanks so much for the chance to win! Can't wait to see what new designs you have this year! Yay! Can't wait to see the new release! I've been a long time fan on fb woot woot! Thanks for the chance Michelle! Happy New Year! Happy New Year! What a fabulous hop and giveaway! Love your creation! Happy New Year! Wonderful prizes. Thanks for participating in this awesome hop!! Thanks so much for the chance to win such awesome prizes! Happy New Year! Happy 2014! Thank you for the chance to win these fabulous prizes. Great coupons! And I love your blog! I now follow you on pinterest. Love your awesome organization of your boards. Will visit regularly. Thanks for the chance to win. I just got one of my first stamp sets from you, but sadly haven't gotten to use it yet. :P Happy New Year!! !